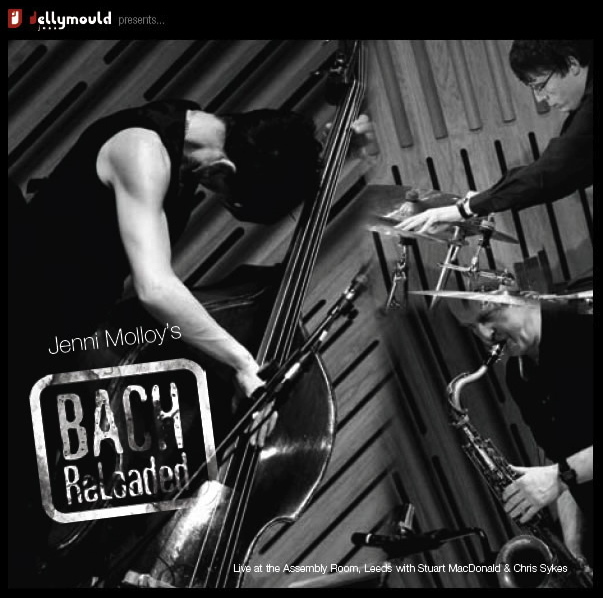 Bach ReLoaded is the stunning new album from double bassist Jenni Molloy. Listed in the top 5 jazz albums of 2009 by The Sunday Times and as one of the ‘Records of the Year 2009’ by BBC Radio 3, this album has gained widespread critical and public acclaim. Jenni’s innovative and original compositions have been inspired by some of Bach’s rhythmic and melodic ideas. Bach’s Cello Suites, Solo Violin Sonatas and Partitas and Inventions for the Piano have been the inspiration, with artists as diverse as Mstislav Rostropovich, Ornette Coleman and The Bad Plus providing some of the influence behind this unique project.